With just a month to go until it hits theaters, Ryan Reynolds, 20th Century Fox, and Marvel are not keeping the hype from being unleashed as several more promotions and teasers are being released for the upcoming “Deadpool” movie that is arguably giving THE BEST LOOK at the character of Wade Wilson yet, complete with very tight red spandex, R-Rated goodness, and lots of comic book inspired mayhem that will only thrill fans of the Merc with a Mouth all the more! 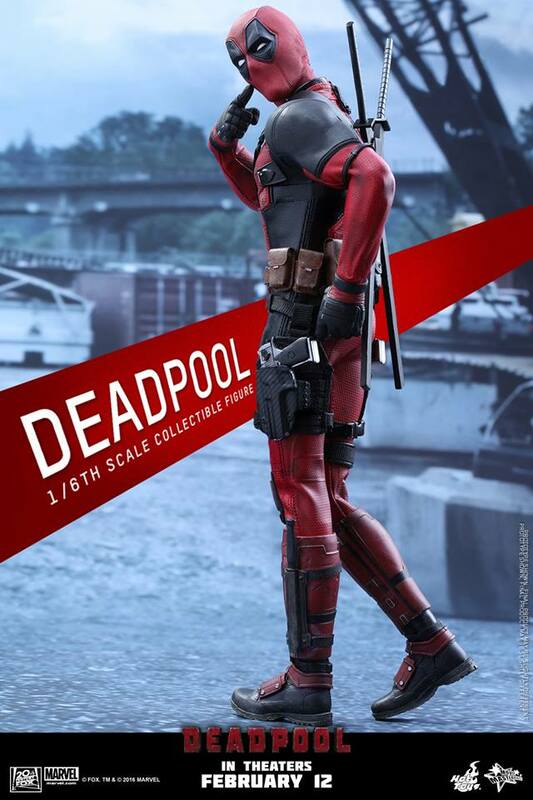 Speaking of Deadpool goodness, Hot Toys is already teasing fans and collectors all the more to place their orders for the upcoming 1/6th scale Deadpool collectible figure, which looks all the more silly, badass, and humorous much like how the insane mutant should be! 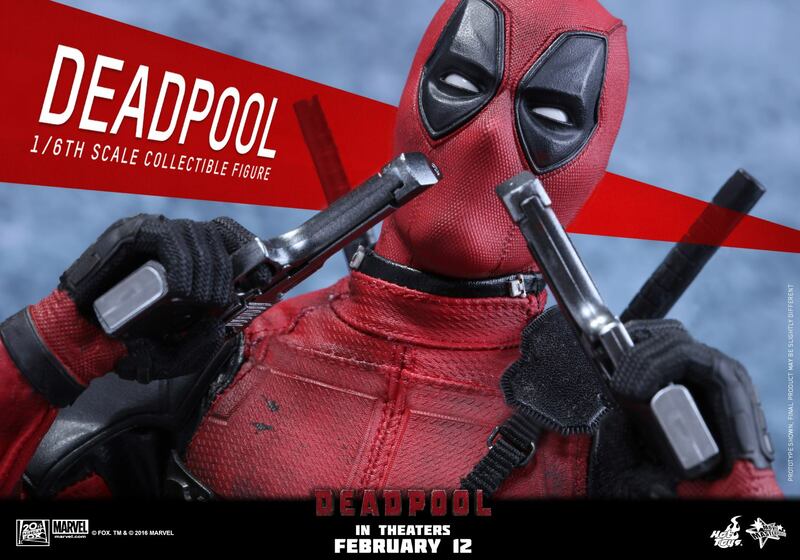 Coming with multiple points of articulation, interchangeable parts, weapons, and a base a fanboy or girl could love, this “Chimichanga wielding badass” looks to have everything in his arsenal and then some… Plus the goofy eye expressions that are just swappable and purely in character for dear ol’ Wade! To pre-order this mutant mercenary baby, you can visit the official Hot Toys Facebook page which features more of the glorious DP images of crazy poses and gestures. 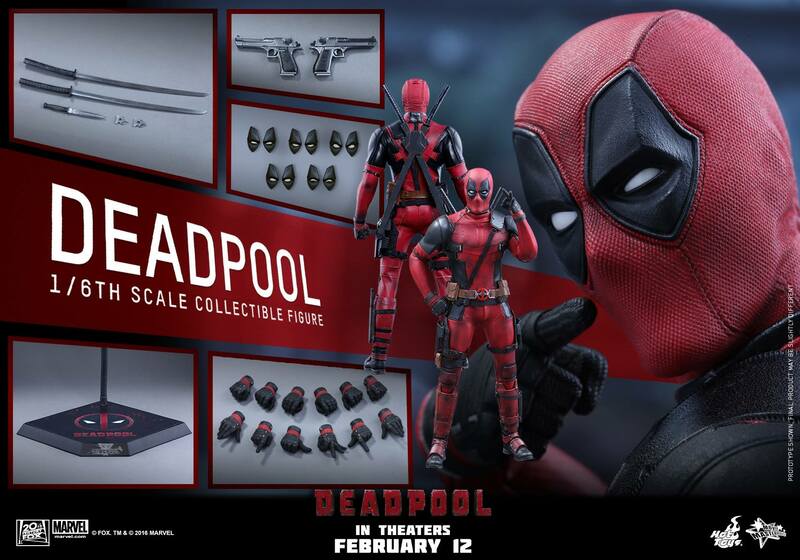 If you’re a Hot Toys collector and want to have this fool of a superhero in your wish list, better get to ordering! 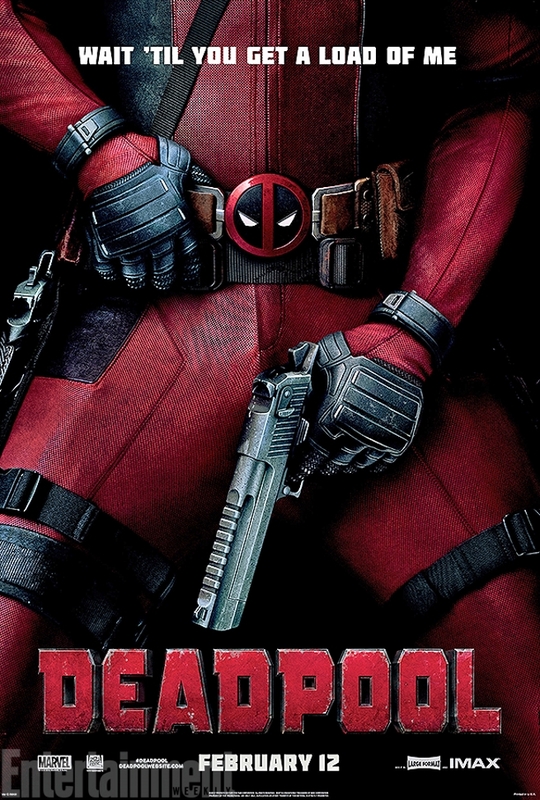 Deadpool hits theaters on February 12!